Discover a new sport without investing in the equipment! Bow Habitat Station has equipment available for rent to assist visitors in learning new skills and discovering the outdoors. All equipment is for use at the site only. 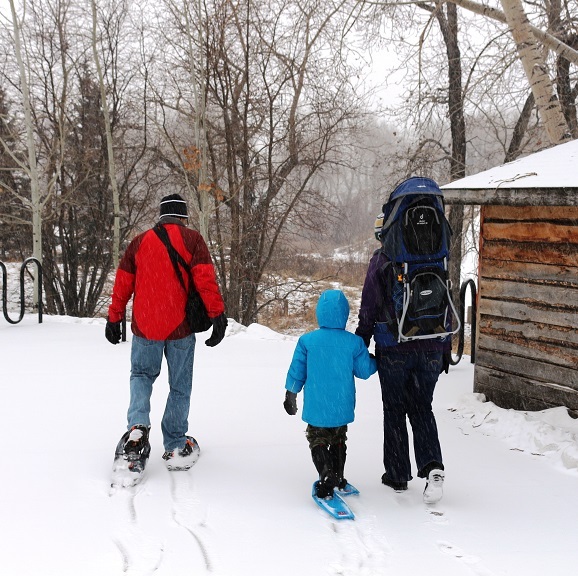 Explore through the trails of our Interpretive Wetlands this winter on snowshoes! Investigate the tracks of our urban wildlife as you make your own. No gear? No problem! 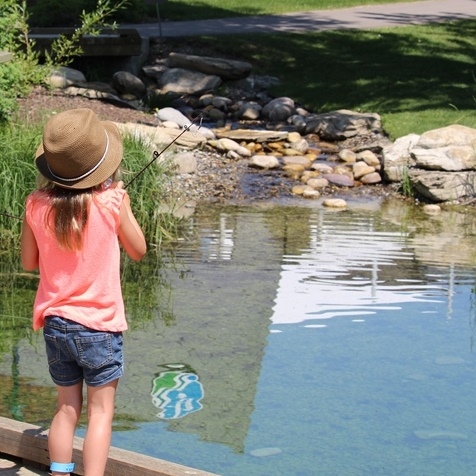 Stop by our Discovery Centre to rent a fishing rod and cast a line in our Trout Pond! Who: Youth ages 4-15; Ages 16+ must present a valid Alberta Sportfishing Licence*. One adult supervisor is recommended for every four youth (ages 4-11) while fishing. *Persons over the age of 16 assisting others with their fishing rod while the line is in the water (including the act of casting or reeling in the line) require a valid Alberta Sportfishing Licence.